Say what you want about chick lit but I love it. Recently I've been craving for a good chick lit read that I could just settle down with and immerse myself in. 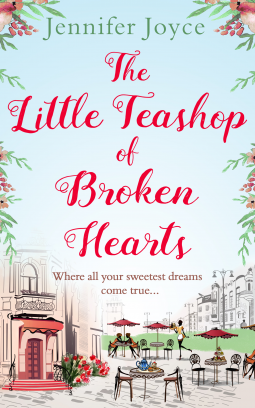 So, when The Little Teashop of Broken Hearts was brought my attention I knew I had to read it. A story about a teashop is quite similar to other chick lit novels I have previously read - however I was looking forward to seeing what made this one unique. 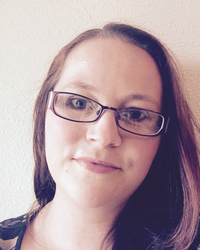 Maddie Lamington runs a teashop selling tasty bakes and steaming hot cups of tea and coffee. However despite having a loyal customer base the teashop isn't bringing in enough of them. Feeling like her dreams are falling apart Maddie has to come up with an idea to get her teashop on the map and fast. When she sees her father cosying up to her friend Birdie over Apple Crumble, inspiration strikes! 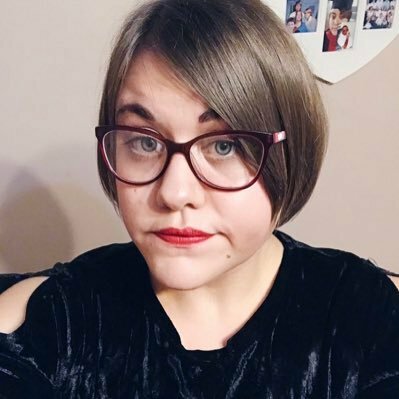 Maddie comes up with the idea of bringing speed dating and cake together to create a unique dating experience. Her and her loyal friends start coming up with ideas to make it a success and with the handsome Caleb helping sprinkle some magic, could her teashop be saved? Despite reading several chick lit novels set in teashops/cafe previously, I must say that I really enjoyed this read. It was sweet, heartwarming and made me seriously crave some cake! Books like this always get my sweet tooth going and I'm not sure if that's a good thing or not. If Maddie's teashop was real you could bet that I would be paying a visit. The setting was beautiful! I could just imagine this town in my head and I would live there in a heartbeat. The teashop was described in such a way that you could just think you were actually there. Maddie's father's allotment was also a place I liked visiting, imaging all them vegetables and that crisp air. Bliss! All in all it gave you the feeling of a typical English town which is missing in most books nowadays. The concept behind the story was an interesting one and easy to grasp. Kudos to Jennifer for coming up with the idea of dating and cake. Certainly something I have never heard of before or would dream of thinking up. This unique edge gave a style of genre that has been done time and time again something different. Something that will appeal to readers. People will mention The Little Teashop of Broken Hearts and know exactly what it is. Many characters were introduced over the course of the story and as charming as they all were I did find it hard to keep up with each of them. Each character had their own story to tell. Although I do love character development some in this I felt were overdeveloped, especially the secondary characters. For a character like Maddie I was expecting to get to know her well (and I did). But for a secondary character like Nikki or Mags I felt like I didn't need to know them as much. Despite this, I realise why it was done. It also helped me understand characters motives in a more intriguing way. As in all chick lit's there is a romance involved. In The Little Teashop of Broken Hearts it was very slow burning. Maddie and Caleb as singular characters were equally as brilliant but as a couple they were even more so. It's just a shame that we didn't get to see much of their romance until the end. I wasn't expecting insta-love (and if you know me you know I hate it) but I also wasn't expecting a snail pace romance. It got so bad that I kept shouting at them to kiss already, in my head mind you (I'm not that crazy!). 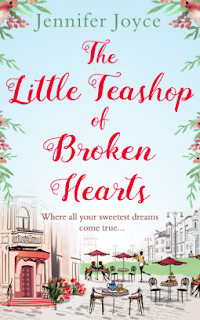 The Little Teashop of Broken Hearts was a heartfelt, cute, adorable read. It had me laughing and smiling all the way through and the concept was unique, engaging me as the reader. If you like reads that will have you grinning, giggling and beaming this is the one for you. Jennifer Joyce is a writer of romantic comedies who lives in Manchester with her husband and two daughters. She has been scribbling down bits of stories for as long as she can remember, graduating from a pen to a typewriter and then an electronic typewriter. And she felt like the bee's knees typing on that. She now write my books on a laptop (which has a proper delete button and everything). Her books A Beginners Guide To Salad, Everything Changes But You, The Mince Pie Mix-Up, The Wedding Date and The Little Teashop of Broken Hearts are out now.